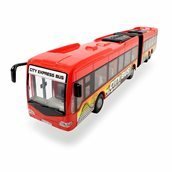 Dickie Toys City Express Bus:by the quickest way through toy town! 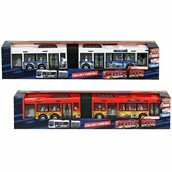 The bus is one of the most important forms of transport in town as well as being an endless source of fascination for children. 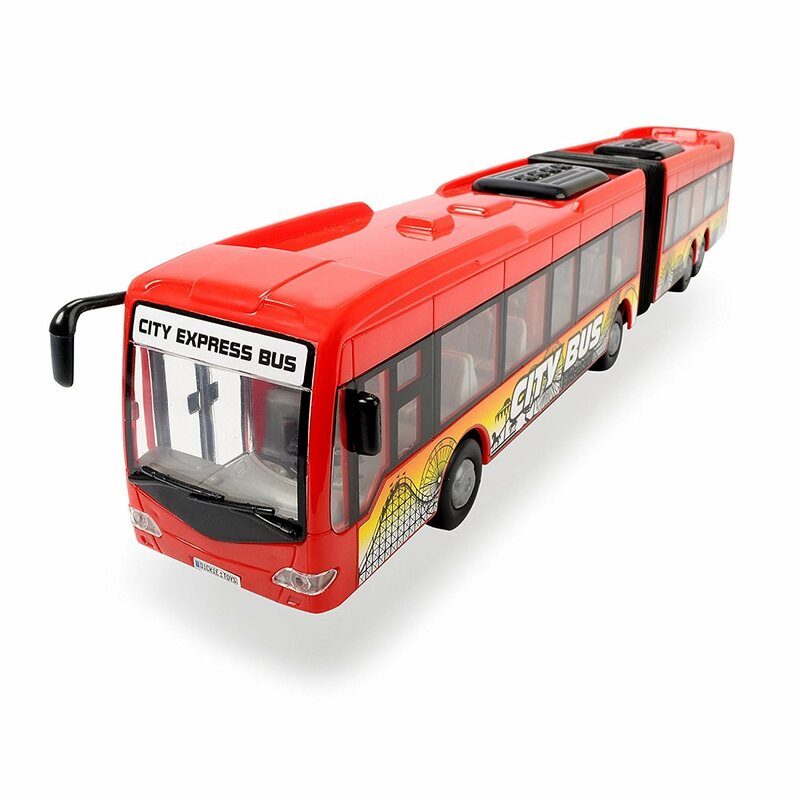 The Dickie Toys City Express Bus is available in two different designs and modelled on the typical designs of their full-size counterparts. 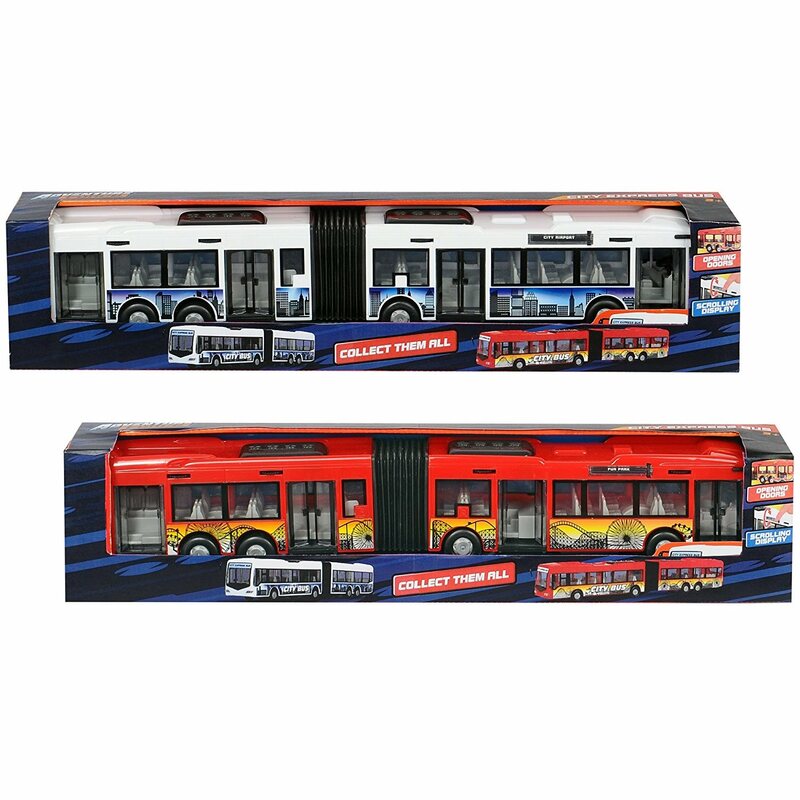 Measuring 46 centimetres, it makes an impressive addition to any of toy vehicles. 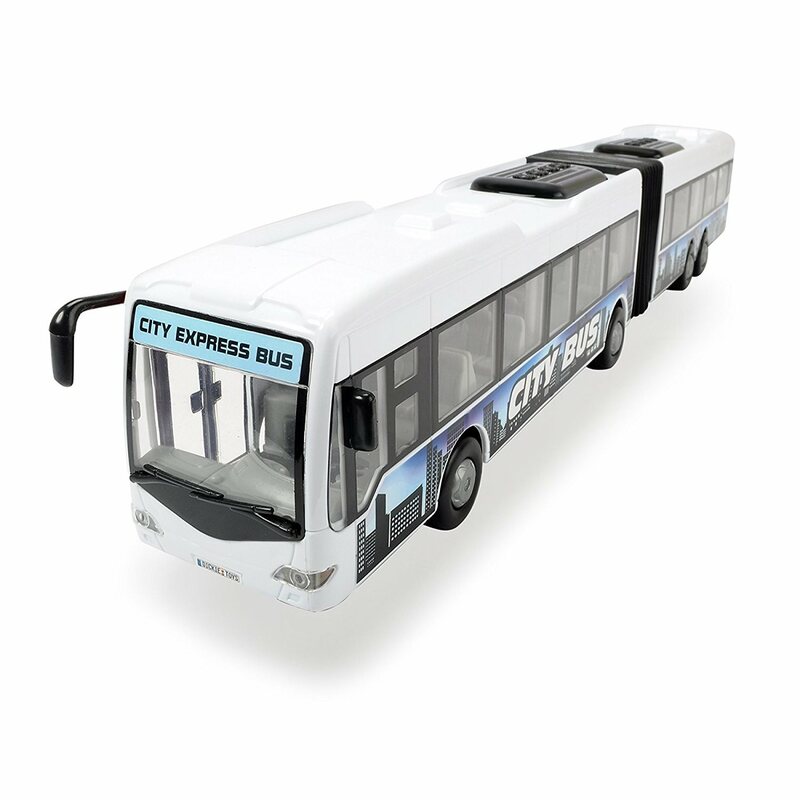 The light and airy design with standard bus windows draws attention to the detailed interior, featuring lots of rows of passenger seating and grab rails. 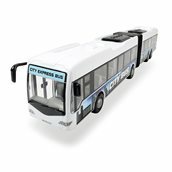 The doors can be opened just like in real life and the friction-driven bus can travel over a variety of different surfaces. Children can use their imagination to draw up their own timetables and design a clever transport system, helping to develop an understanding of punctuality and logistics.